Payzapp Big Basket Cashback Offer. BigBasket HDFC Card Offer : Flat Rs.100 Cashback For New User + 20% Discount Upto Rs.300 Using HDFC Cards. Bigbasket Simpl Cashback Offer : Bigbasket Flat Rs.100 Cashback On Paying First Time With Simpl Payment Mode. 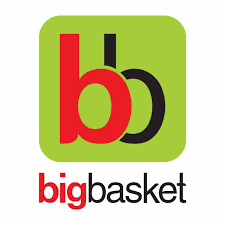 Big Basket Simpl Cashback Offer. Paytm Bigbasket Cashback Offer : Rs.120 Cashback On Minimum Rs.1,200 + Rs.100 Extra For Referral Code. Big Basket Freecharge Cashback Offer : Rs.100 Cashback On Rs.800 + Trick To Buy Rs.1000 Product At Rs.600 II 01-31 July. 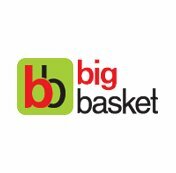 Big Basket Freecharge Cashback Offer : Rs.100 Cashback On Rs.800. Big Basket PayZapp Cashback Offer : 15% Cashback Max Rs.300 + Trick To Get Rs.2000 Product At Rs.1300 II 16-20 May. Big Basket PayZapp Cashback Offer. Big Basket Airtel Payment Bank Cashback Offer : Flat Rs.100 Cashback On Rs.1000 + Trick To Buy Rs.1000 Product At Rs.600 II 01-31 May. Big Basket Airtel Payment Bank Offer : Flat Rs.100 Cashback On Rs.1000.